I’m preparing for my classes this week at Fall Paducah. I’m excited the Become a Brilliant Binder is sold out! In getting samples marked to quilt for The Trapunto Basics on Your Home Machine. The class still has room. You can register once you are at the show! 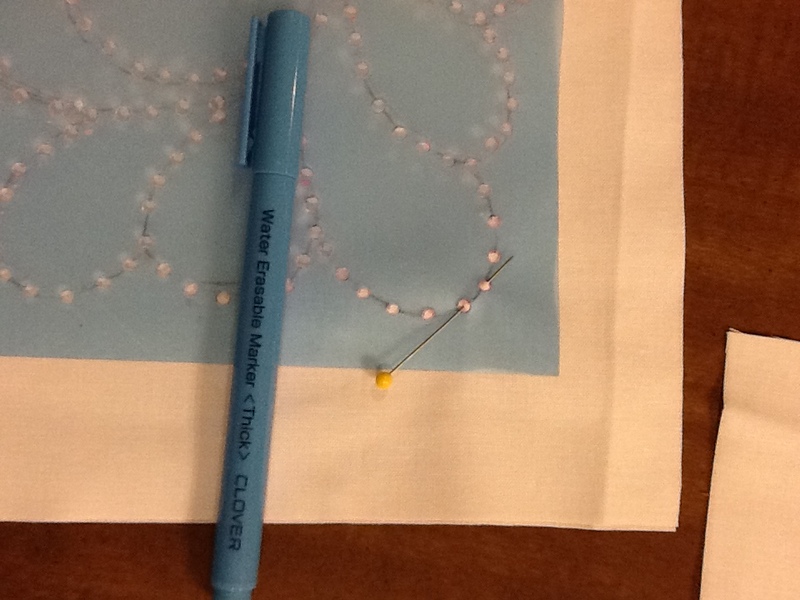 I like to use a blue wash out marker to mark the quilting design. #1- Be sure to test all marking products! My favorite feather wreath is by Barbara Chainey. She has a website and blog. The wreath is in a pattern book that is no longer available online but look for it in the future as downloads from her website. Quilting Creations International has a number of designs by Barbara. 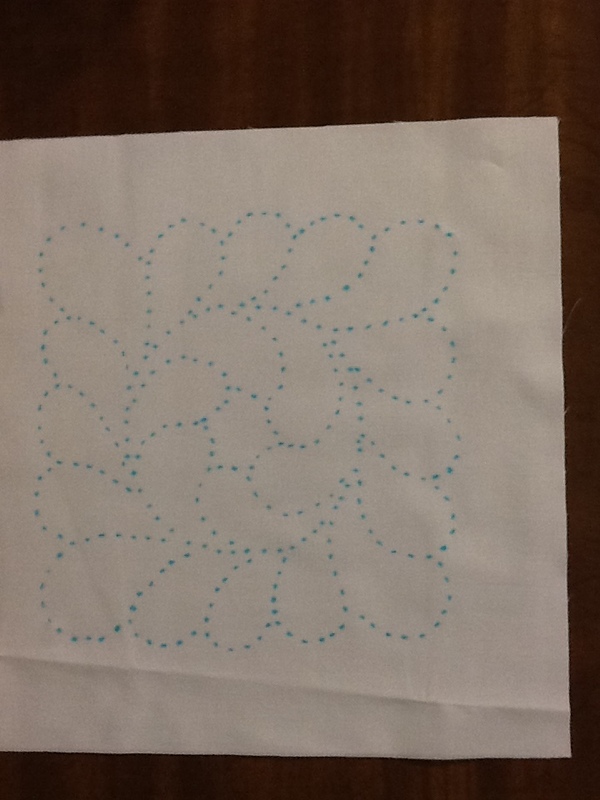 I used DBK template plastic to make the design easier to trace on my quilts and for use in my classes. (YES, I have permission!!). The plastic has nice flexibility and works well. I used a tiny punch (used to punch holes in leather) to make the design. This is a great way to use work with the design. I have also used iron out chalk in a pounce pad when marking on darker fabrics. The class sample is white so the blue pen was the choice this time. 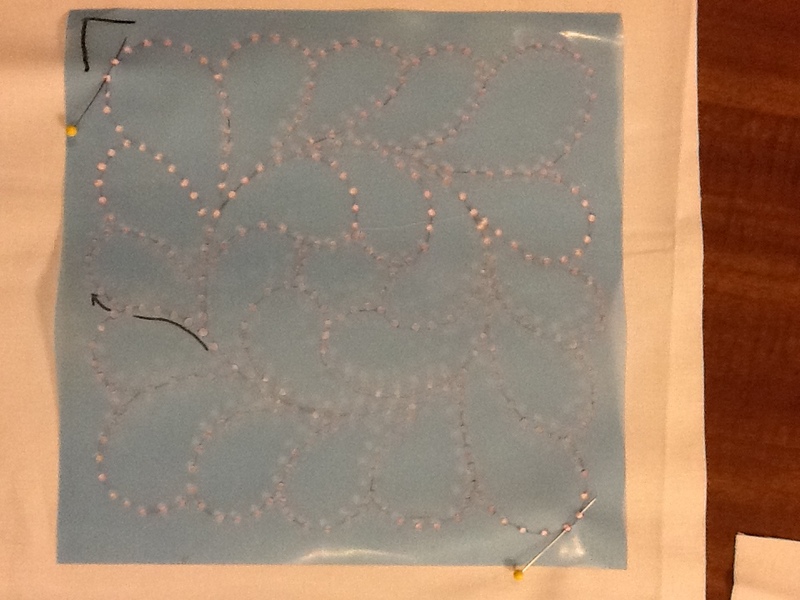 #2- Use DBK plastic to make your own templates. Did you know Electric Quilt has quilting designs? Check out their website for several volumes of designs! There are several company’s that make stencils. Check them out. I have several from a number of companies! Have lots of fun in Paducah!!! !